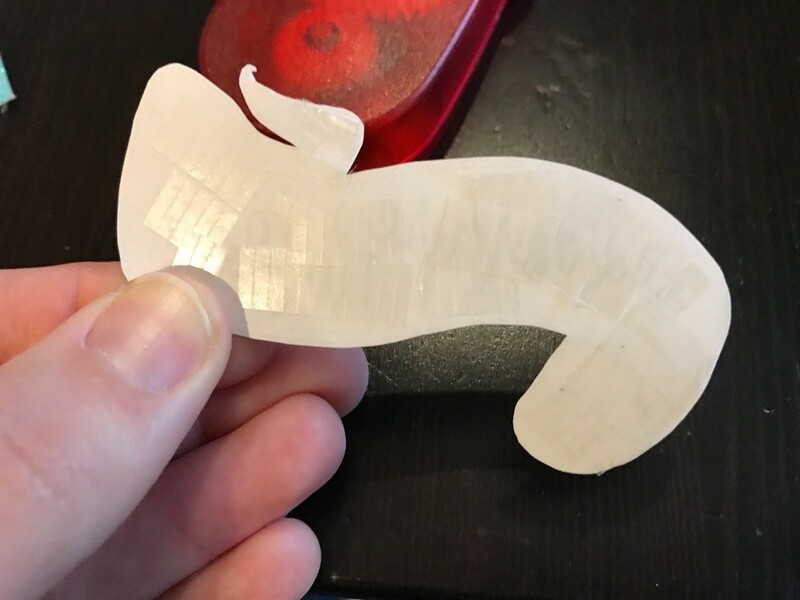 My friend was looking for a gift idea for her son who recently got married. She decided that she wanted to collect money for them to be able to do some fun things together, that maybe they couldn't afford otherwise. So I made her this 'Adventure Funds' jar. 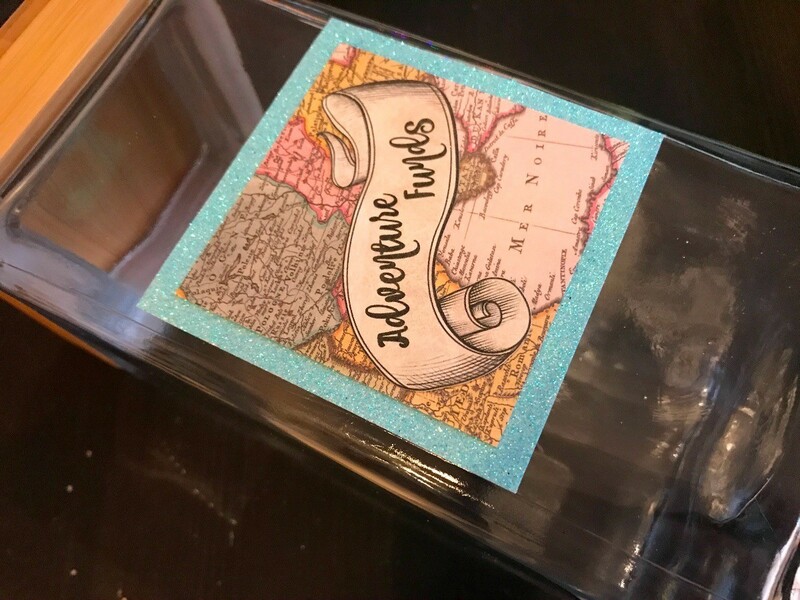 Measure the front of your jar and decide on the size you want for the label. 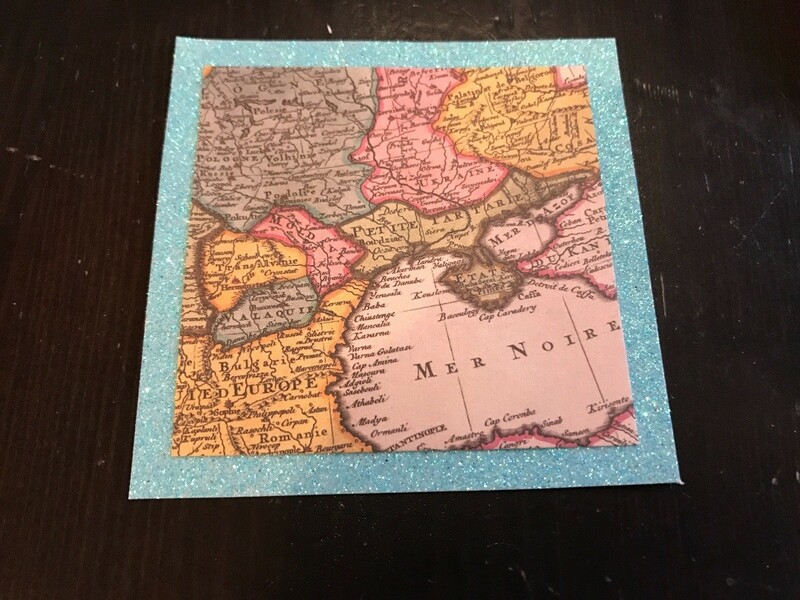 I used a glittery paper for the larger square and map design for the smaller one. 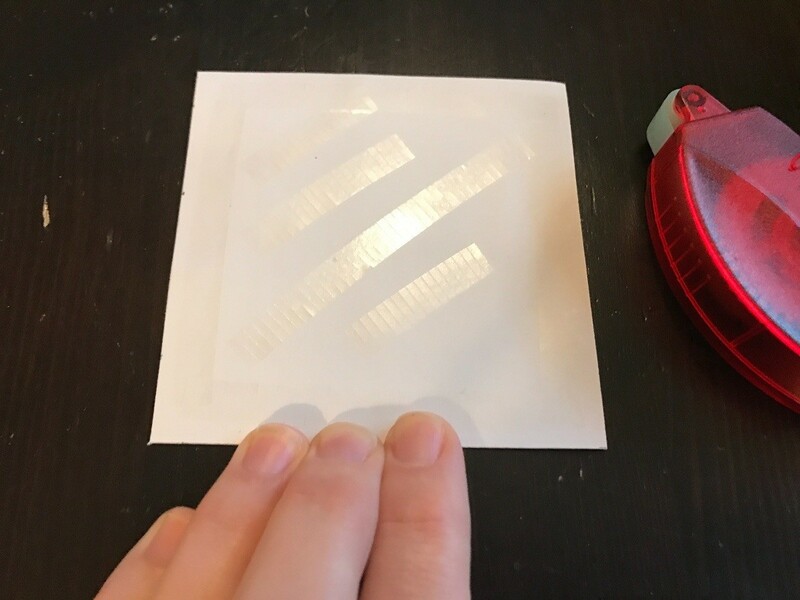 The larger one creates a 1/4" border all the way around. 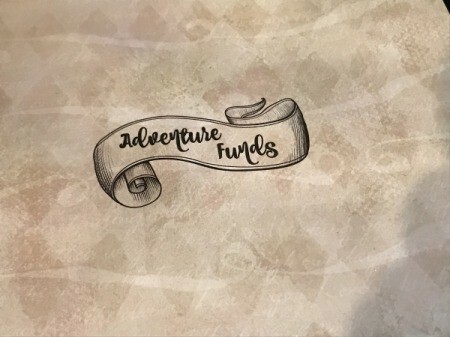 Create an 'Adventure Funds' label with either pens or on the computer. Then cut it out. 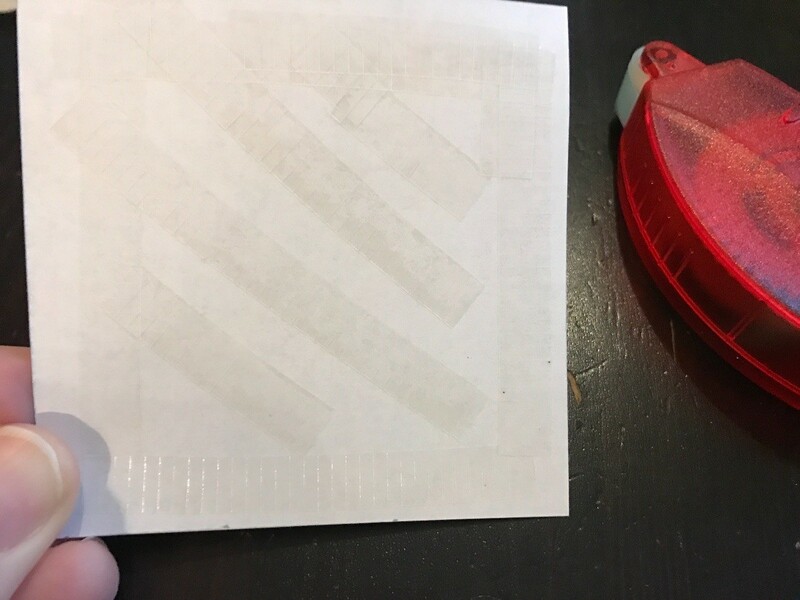 Use adhesive to attach the 2 squares together, as shown below. 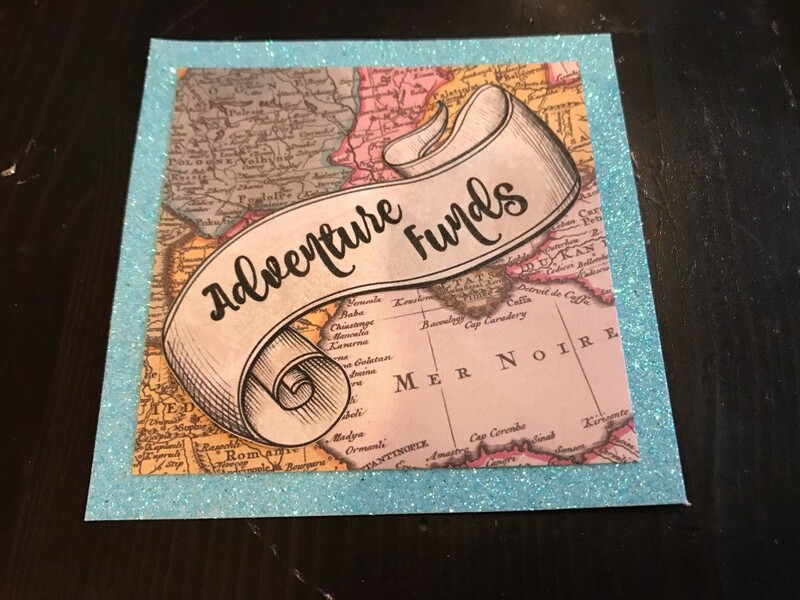 Attach the 'Adventure Funds' label. 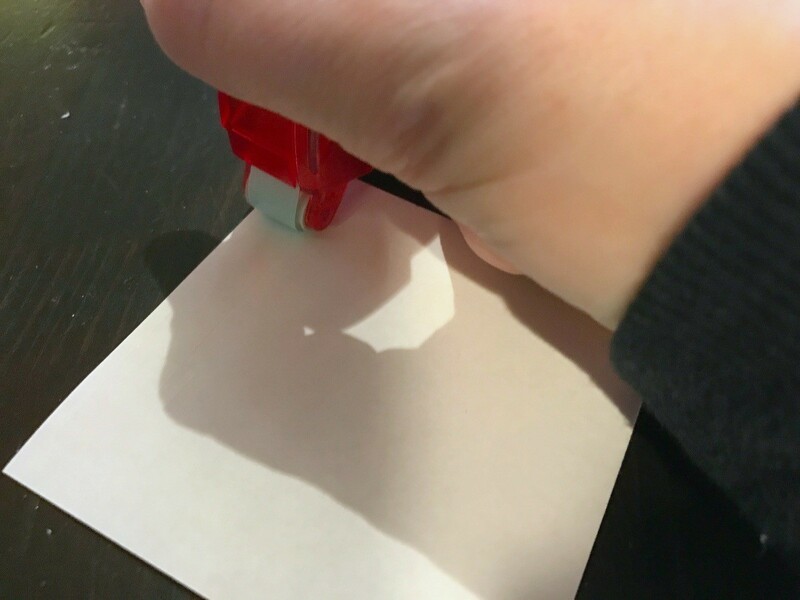 Now attach the completed label to the jar. 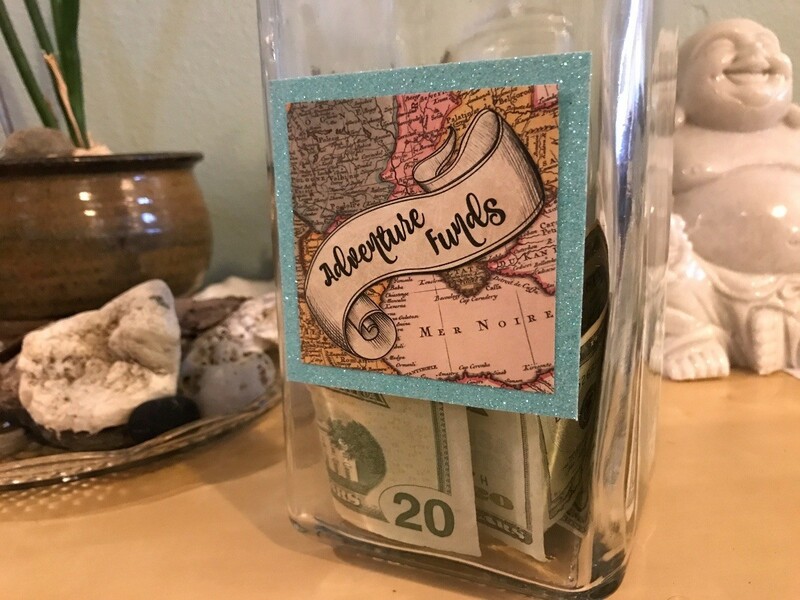 Fill the jar with money and give it to someone special! This is such a good idea. 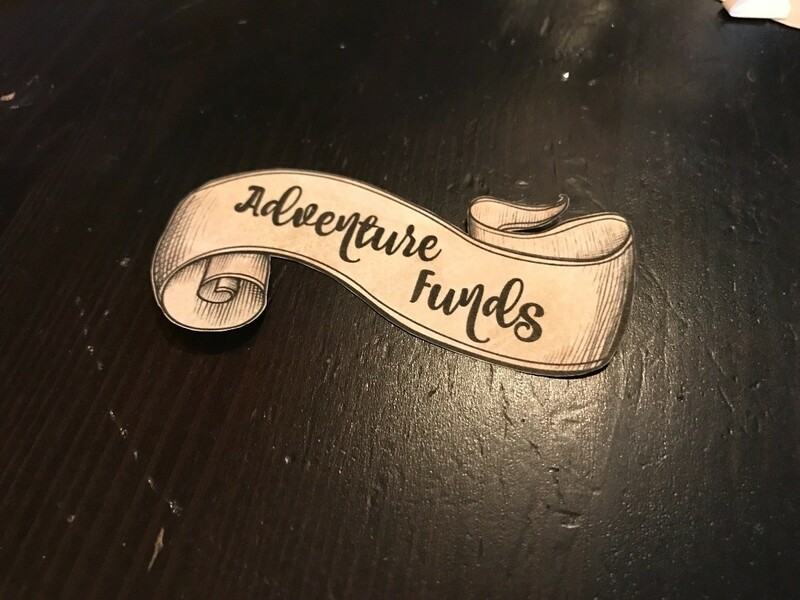 It's easy to save a few dollars or coins now and then for an adventure. 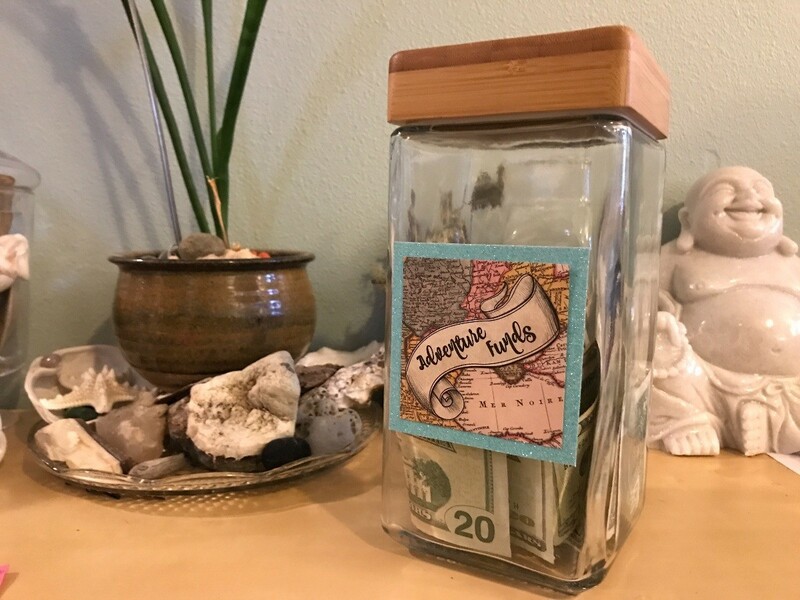 My husband who passed away recently, was always saving coins and would empty his pockets when he got home into jars or cans he had for the coins. When he passed, and we found cans and cans of coins, I was amazed at how much he actually saved over time. We couldn't do a traditional Thanksgiving last year so went to the ocean for the long weekend and his "contribution" paid for part of the trip. I am still finding cans or jars of coins....so save those bits and pieces for a nice adventure. This is a lovely idea! I am going to make one for us now BECAUSE it sounds so good... 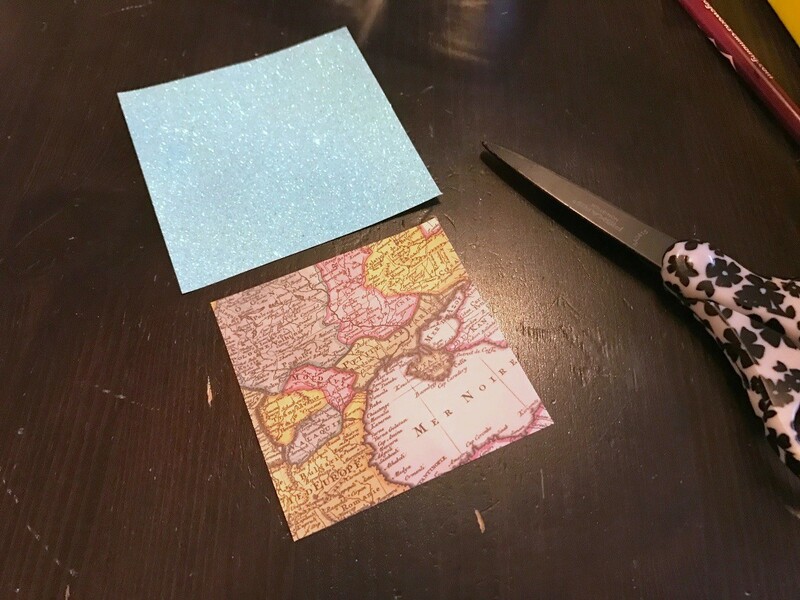 I'll put places we would like to go too [within reason and around home] and on the days that we don't know what to do with ourselves we can select a piece of paper our of our jar to give an idea to go on [pun not intended]. 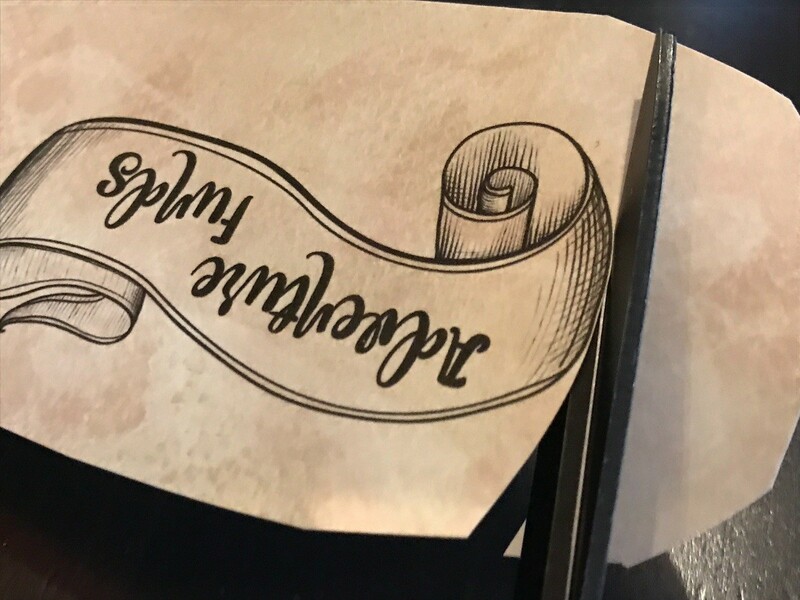 I really like this idea ... thanks!